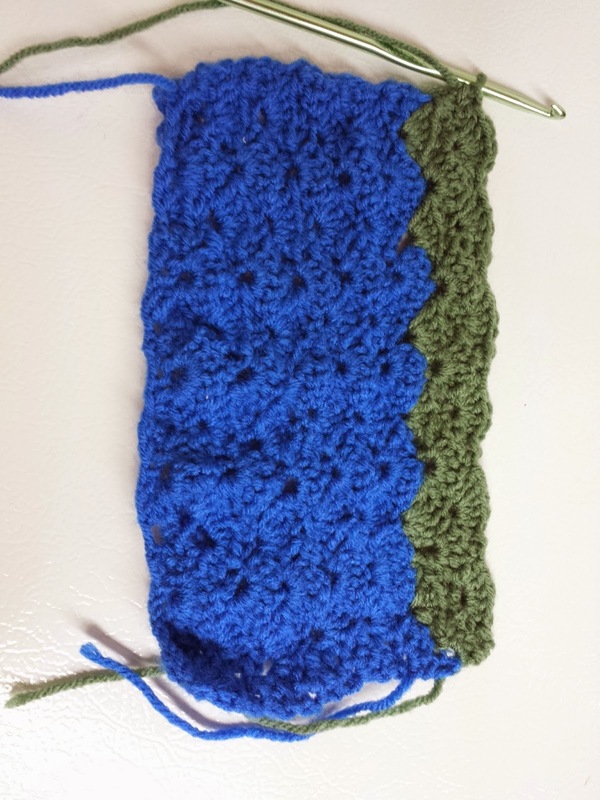 I was slowly going through my Learn to Crochet book when I got to the shell stitch last week. I chained 38 like I was instructed and started going on it. And going and going and going. I love this stitch! So I flipped back to the chapter where it showed me how to switch colours. 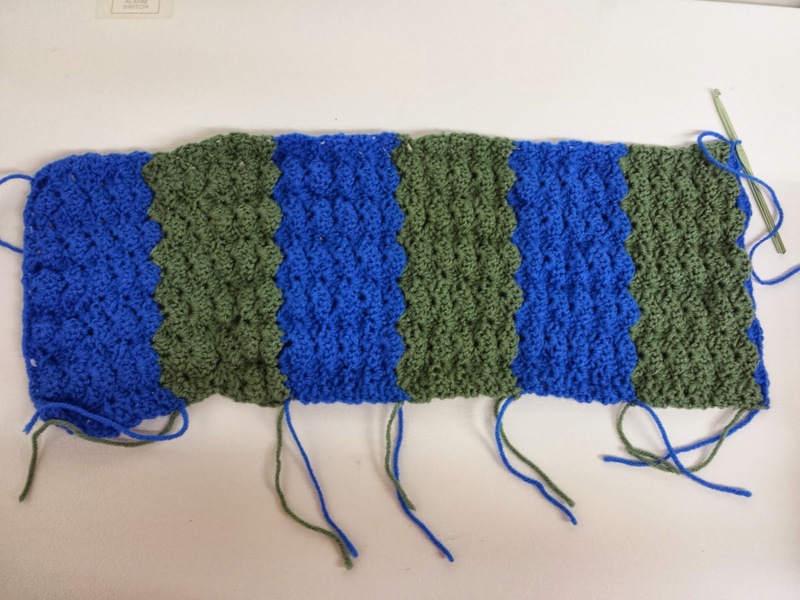 I started making stripes in shell stitch. 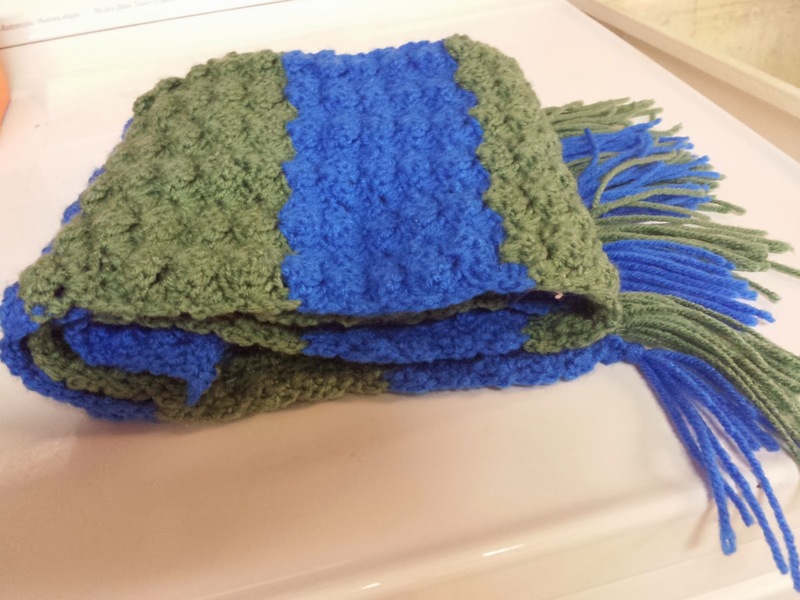 I made several stripes and then flipped ahead in the book to figure out how to put a little fringe on the edges. 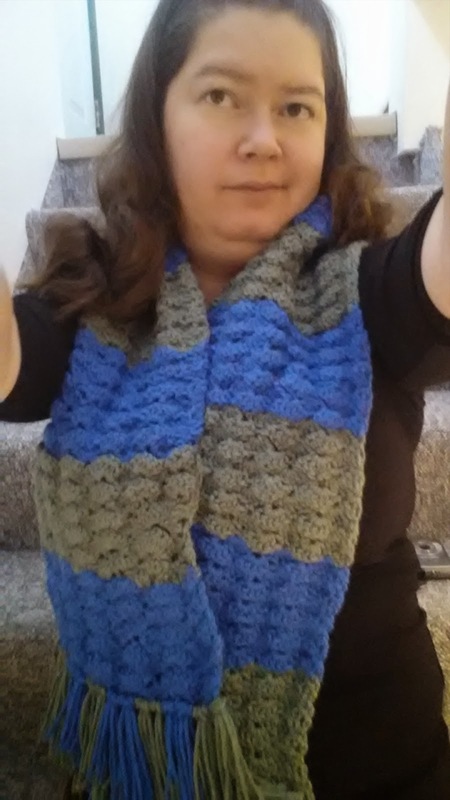 And now I have a pretty shell stitch scarf. I'm loving this new found creative outlet. 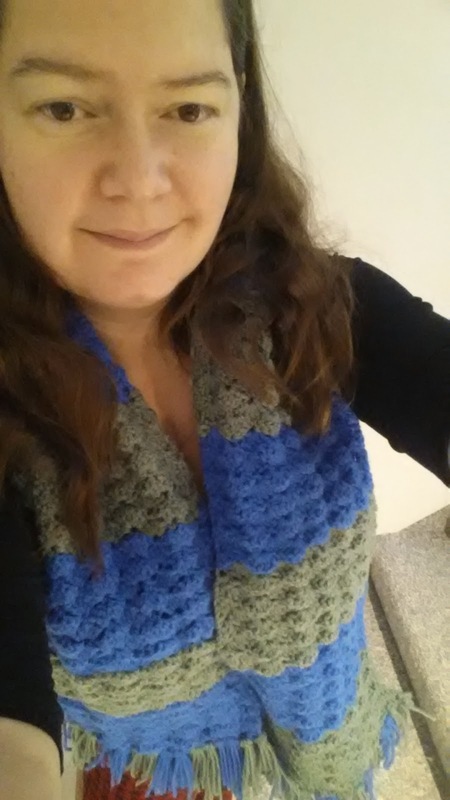 I'm warning you now that you'll be seeing a lot more crochet posts from me this year. I can't help myself.